The property cooling measures introduced by the Government on July 5 to counter the euphoria in the property market is expected to have an impact on bank loan growth. An earlier analysis by RHB Bank said that amongst the three local banks, UOB share price may be impacted more negatively in the short term. UOB has the highest exposure to housing loans, at 27.6 per cent of its total loans. The changes to the Additionl Buyer’s Stamp Duty (ABSD) and the Loan-To-Value (LTV) limits will significantly affect bank loan growth said several analysts. But the Managing Director or Singapore’s central bank pointed out that the property loans have seen 34 per cent year-on-year increase. DBS Equity Research analyst Sue Lin Lim noted that property prices started to rebound after the government relaxed the Seller’s Stamp Duty (SSD) in March 2017, and prices have increased by 8-9 per cent whilst transaction volumes rose by 40 per cent since then. The new property curbs which increased stamp duties for developers is expected to halt their enthusiasm to shore up their land bank. This in return would have an impact on bank loan growth. Residential property buyers’ would also have to increase their cash outlay with the new property cooling measures, this would also make them think twice about acquiring new properties. Home buyers taking a more cautious approach to the purchase of new properties will likely cause developers to take a step back from the fervent acquisition of residential land sites. Banks are then expected to take a hit as a result. RHB Research analyst Leng Seng Choon noted that the new ABSD requirements should lower investment demand while LTV limits imply that buyers get reduced financing for their purchases. Sherry Leong, head of secured finance solutions in Citibank Singapore noted that new housing loans taken up with Citibank Singapore in the first five months of 2018 have doubled when compared to the same period last year, which is a reflection of the housing market recovery in the previous quarters. “In tune with market changes, Citi’s mortgage packages are designed to help our customers continually enjoy competitive rates for the long term. For instance, the Citibank Home Saver comes with a checking account: cash balance in that account will earn a high-interest rate that will be automatically used to offset up to 50% interest payable on the mortgage loan. Clients in the affluent segment especially appreciate the offset as they can save on interest and pay off their loans faster,” she said. “UOB has the highest exposure to housing loans, at 27.6% of its total loans. DBS has the least exposure, at 22.1% of its loans. It would appear the measures are more negative for UOB than DBS,” Leng noted. Lim in concurring with Leng noted that inclusive of building and construction loans at another 23 per cent, UOB’s total property-related loans make up 50 per cent of total loans. “Historically, UOB’s share price has been correlating well with the property price index,” she said. Lim further cautioned that OCBC is also expected to take a hit from the Government’s property curbs and revised forecasts for bank loan growth from 8 – 7 per cent in 2018. OCBC’s head of group of corporate communications Koh Ching Ching agreed with such analysts and said that the bank expects subdued demand for home loans. “Given the extent of the new cooling measures, we expect the home loans demand to be subdued. Our interest rates will continue to be competitive to the market,” she said. OCBC is expected to take a hit from the new property cooling measures and revised its forecast from 8 – 7 per cent in 2018. Still, the uplift to net interest margin (NIM) in still more visible in 2018. “Loan demand appears apparent for Singapore companies investing abroad. Every 1-ppt rise in loan growth leads to 0.9% increase in net profit,” Koh said. Leng however maintained his growth forecasts of 8 and 6.5 per cent for both DBS and UOB in 2018 and 2019. “The impact on banks’ housing loan growth over the next few quarters is likely to be muted, as most of these housing loans would be the drawdown of loans already approved earlier,” he said. Such weaknesses in the bank loan growth is expected to be corrected by the long-term effects of demand-and-supply. Despite the new property cooling measures and weaknesses in bank loan growth, the Singapore real estate market still looks positive for property investors, said Ho. He added: “The fact is, the overall interest rate environment in Singapore is still considered low on a global scale. This is one major reason why Singapore’s property market will remain buoyant. 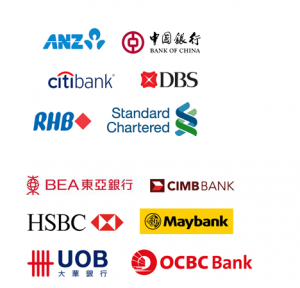 Alternatively you can read more about the Best Home Loans in Singapore before deciding. Our brokers have close links with the best lenders in town and can help a mortgage loan customer compare Singapore home loans and settle for a package that best suits your home purchase needs.